The last twelve months have been full of some exciting adventures, a few major challenges, the birth of a couple of ‘babies’ of mine, some significant losses and quite a lot of grief. It has also been a time spent with family, and trips overseas and interstate for friends, family and advocacy work. We cannot go back to it now, but do have the opportunity to reflect on the good and bad, and sometimes the downright ugly, as well as the achievements, and the things we might have done better. 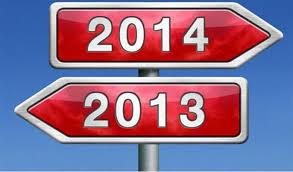 Then we get to choose what we want to achieve in 2014. Some things we cannot change, but maybe we can change our attitude towards them, or acceptance of them. Things like being diagnosed with dementia or some other awful illness, or going through a divorce. So, whilst according to my neurologist and the tests he ran again earlier in the year which indicates the dementia is progressing clinically, the symptoms of dementia are not moving so quickly as far as my ability to continue to function. The hard work I put in, daily, to combat the symptoms are working, and whenever get off track, I do notice a change. Thankfully I can still paddle, even though it is actually getting much harder below the surface, and most people significantly underestimate the amount of work and paddling this takes. Even though as that well-meaning RN said to me a couple of years ago; ‘It will get you in the end’, I don’t have to lay down and die now. I’ve done quite a lot of things in this last year, finished some, started and not completed others. In November I actually ditched a degree I had started, in order to apply for another more meaningful one, and am using the work I had done to apply for credits for the one commencing in March 2014. For me, studying something of significance is a truly meaningful and engaging activity, and works my neuroplasticity much harder than, for example, a BrainyApp. Learning a language or musical instrument would have the same effect, if I went down either of those pathways, although for me playing an instrument no longer seems possible because I can’t read music anymore. In August I had a very special lunch in London with some possibly axe murdering Imaginary friends, which has culminated in three beautiful friendships, and a lot more tweeting, fun and extension of my advocacy work. These new friends Beth, Shibley and Gill are doing some amazing work, and are wonderfully supportive from the other side of the world. Gill even taught me how to embed tweets via Skype this morning! That trip also was a time of sadness and grief, as with the stepson of my friend who died in May, we spent time with his UK family, hopefully in some small way helping them come to terms with their loss. It helped us. Not long after that trip, my beautiful cat Star became sick, and died peacefully in my arms on September 13th. I still miss her dreadfully, and have her ashes next to my bed. Boris is bravely making up for our pain, even though for the first 12 weeks he was missing her as much as us. Perhaps the one activity or ‘baby’ I am proudest of this year is the commencement during Dementia Awareness Week of the Alzheimer’s Australia Dementia Advisory Committee. This group seeks not only to give a voice to people with dementia in Australia, it is actively working on policy and documents on issues such as people with dementia living alone, dementia friendly communities, language and so on. It is an exciting time globally as we network with each other and other people with dementia in other countries. I’m also currently meeting with a group of like-minded people with dementia overseas, via an online Webinar forum, and we are working collectively and collaboratively towards setting up an international organisation or foundation, run for and by people with dementia, to give an even stronger voice to people with dementia. My wonderful friend and kindred spirit Richard Taylor is one of the hosts, along with an amazing woman Laura who is working tirelessly on our behalf. And I had thought twitter was only for twits???? The following is a taste of the fun we have had very recently, but on a serious note, Twitter is brilliant for connecting like-minded people, and raising profiles of causes of issues in our community. I’ve even connected three farming girlfriends, who live in quite remote areas of the state, allowing them to share their experiences and develop friendships. Gill and I connected with @saffyishere, a delightful new online friend in Victoria, and without actually meeting her, I know I’m going to love meeting her. @KateSwaffer @legalaware OMG! I have Mr #WhoseShoes reminding me "only another 45 mins until #swaffertime!" (Skype call) !!! @KateSwaffer @WhoseShoes Who knows. But really impressed #SwafferTime's more reliable than the atomic clock. If you are not yet a twit, please consider becoming one and following us… just for fun! Gill and I had two weeks of touring three states, meeting with people involved in change management, education, and service provision in the disability, health and dementia sectors. It was a busy and exciting time, which I will need many weeks to reflect on and write about more fully. Needless to say, ‘we’ will be back! My blog has continued on, almost daily, but I do now miss the occasional day simply because I can. I do not feel the pressure to publish a blog every single day anymore, although would be loath to leave it too often as I find the habit of writing is maintained by doing it often. And I love writing, and want to become more published. Some of my blogs have not had much traffic, whilst some others have become incredibly ‘Hot topics’, like Who’s ‘Living with dementia’? and this was then dissected here I am a person, not a diagnosis: deconstructing Kate Swaffer’s poem on dementia by dear Shibley, an academic and ‘no longer imaginary’ friend in London. The blogs that followed have also been part of a robust global conversation, inspiring me to write The language of dementia. My ‘Blog’ page highlights the following blogs – Interventions for dementia – Reactions to dementia – The emotional toll of letting go for a PWD – Dementia and word finding – and – Drowning, paddling harder and staying afloat because I believe they are important conversations about what it is like living with dementia. If you are new to my blog, you might like to tune in. I encourage the conversations and love to read your opinions or responses; please do send a comment whenever you have the urge and time. Writing poetry has become one of my favourite past times, and most Saturdays I write and publish a new poem. I have two manuscripts almost ready to send to a publisher, so all my fingers and toes are crossed! I’m also helping members of The Bereaved through Suicide Support Group Inc. work on a collection of poems, with the hope it can be published as a fundraiser for the group. Creative writing is also a way of aiding the healing of grief and loss. In 2013, I have continued on as a member of their Professional Advisory Council. Tuesdays are most often my fun day, and as often as possible, I try to add a joke or write about something humorous. The ‘Homework funnies’ have definitely had us all laughing! Through dementia, I have connected with and met many people I would never have met. I have learnt so many things, about the disease, about people in general, and most of all about myself. The one thing that gets me through every single day is Love. The love of my special husband and two gorgeous amazing caring sons, and my dear friends, those I know in person, and the many I have met online. Thank you all from the bottom of my heart for making the world a more special place. In your own beautiful and unique ways, thank you ALL for making my world a better place. Thank you… and best wises for 2014 to you and your family. It is good to reflect on the year. You have been amazing. Since finding your blog thanks to the MOOC I completed during the year, I have enjoyed reading your (almost) daily contributions and responding from time to time. I had the pleasure of meeting with you in Melbourne and to hear the presentation you gave with your friend Gill from the U.K. My year has been rough, but I have survived it and realise how blessed I am to have good friends and a supportive family who have been there for me. I am pretty computer savvy but have never tackled twitter. New years resolution number 1 for me – tweet! I also plan to do a lot of writing in 2014 as I have a million stories as a result of my involvement with people living with dementia and their carers – during the latter part and end of their lives. I do hope we can continue to chat through your blog. I wish you and your family much joy, peace – and strength in the new year. You write a brilliant, thought-provoking, caring, poignant, happy, reflective and funny blog – and most of all honest – and have won respect and raised awareness around the world. Never underestimate the influence you are having and the way you are inspiring other people living with dementia to speak out – should be compulsory reading for all health and care workers ‘IMHO’. Yes Gill, it has been a great year, and it is wonderful we have become ‘old’ friends. As far as the #Ashes2013 fifth match goes… I will be watching, even though it doesn’t really excite me at all!! Reflecting and then writing about 2013 was actually quite difficult, as there was at least as much sadness as there was joy… as always, there is two sides to a coin!